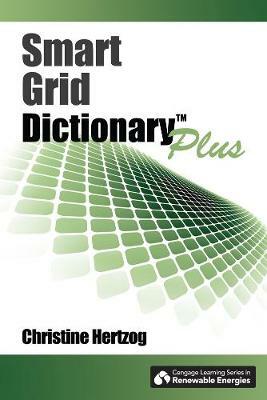 THE SMART GRID DICTIONARY PLUS aids you in building your foundation of Smart Grid knowledge. This learning dictionary includes terminology pertaining to electric utilities and regulatory agencies, energy efficiency and building automation applications, energy storage, smart meters, and telecommunications and standards organizations. Technical concepts are covered in over 1200 Smart Grid definitions. This handy reference can become and interactive online learning experience with our CourseMate product, which includes presentation slides with a high level overview of the Smart Grid ecosystem, flash cards to aid in knowledge retention, and quizzes to test comprehension of material. The accompanying CourseMate contains further research opportunities with agencies' website addresses, making this text the best tool for anyone who wants to learn more about the future of electricity and our electrical grids.